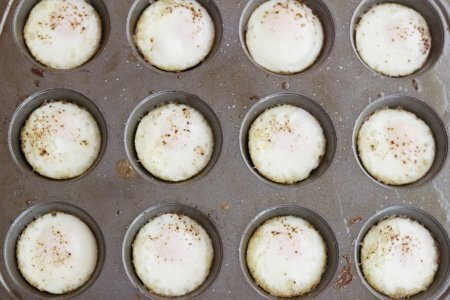 These Weight Watchers egg recipes range from zero to three Smart Points per serving. 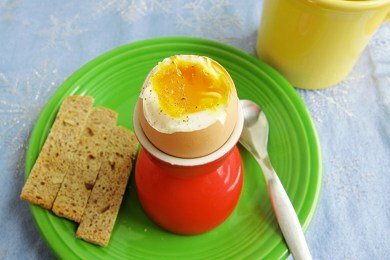 I don’t have many egg recipes on Snack Girl. I think the reason is that I like to fry up an egg, toss it on a small piece of whole wheat toast, and hit it with some hot sauce. Yum! I don’t like omelets and quiche is way too high in calories to feature on the site. So, that leaves me with five recipes to share with you but they are all GREAT! I love the lighter deviled eggs. 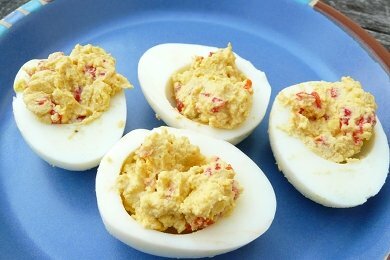 These are tastier than regular deviled eggs. Many of my recipes do contain eggs and I will be working on them as the year progresses. I can see how my pancake and muffin recipes will change because of Freestyle. Until then, enjoy these recipes for the new year. 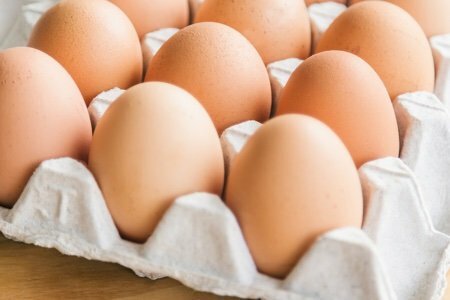 Do you love eggs? How do you eat them? Thank you for these great recipes!! I got interested in deviled eggs again when we had hens in the yard. Very fresh eggs can be tough to peel when hardboiled. i learned that if I steamed them instead of boiling them, and then dropped them immediately into cold water, it worked great. I steam them for 18 or 19 minutes, starting with the pan and steaming water still cold. I'm a big fan of eggs. I turn my homemade vegetable soups (with or without chicken or turkey) into egg-drop soup by stirring beaten eggs or Eggbeaters (either works better than egg whites) into soup at medium boil. It adds protein & texture and tastes great! Thank you for including the sodium count with your posts! I signed up for Weight Watchers, but was a little surprised that much of what I'm seeing in their recipes doesn't include sodium. I am going to try the Avocado eggs soon, they look super delish, whats not to like. Thanks for sharing, love your website. My favorite eggs are poached. I love them over sautéed veggies. Yummy. 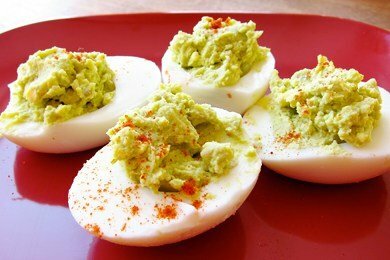 For Super Bowl I am going to try the devil eggs with avocado. What a great idea! Thank you for sharing. I eat eggs any way I can get them (except omelets which are a bit too "organized" for me). 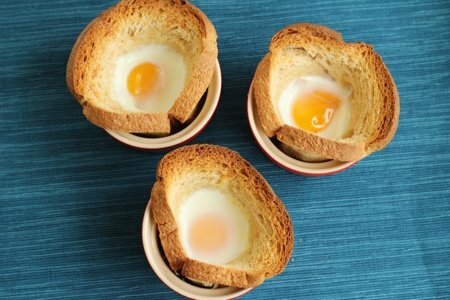 Love your Baked Eggs with Toast (I usually omit the cheese). The avocado deviled eggs are a big hit, though remind me of "Green Eggs and Ham." I like Shashushka, eggs with onions and a tomato sauce - basically WW zero points now, also spiraled sweet potatoes with egg and onions. Yum! I love eggs any time of day. They are low in calories and delicious just about any way. I have even had them raw in Japan at the Sukiyaki restaurant. Cooked beef is dipped in mixed raw egg as a traditional manner of eating. Yum!